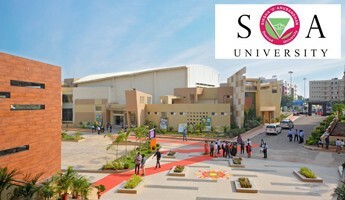 This Present Day, India is one of the world's top most destinations for education. 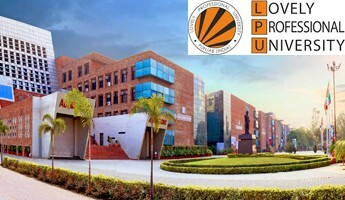 It is constituted with some of the best universities, colleges and even schools; it is acclaimed for having excellence and high standards in its education system. India has always been a hub for education where now technology has advanced rapidly to transform the way of consumption of educational content by the students in India. Furthermore, the invention of smartphones is also funding up in the growth of the digital system of learning. Video-based learning has always proved to be one of the most effective ways of teaching/ learning in the class. Its been 10-12 years since the schools have adopted this way of teaching the students. Smart classes have been invented more and more in numbers in every school and have been marked that this habit has brought a remarkable process of improvement in the performance of the students and salient improvement in the grades of the students. Video lectures improved the way of learning as students were much more involved in classes. Students found the subject matter interesting as well the amount of interacting about the subject matter and discussions, debates increased. Phone-Based Learning: In the past few years, mobile has been the most important tool to learn things anything and everything. Mobile has offered students the flexibility to access educational content seamlessly across multiple digital devices like laptops, tablets and smartphones. The smartphone user numbers are continuously increasing in India, both in urban and rural areas. And we are quite sure about the fact that the upcoming years will witness users accessing most of their educational content through internet powered smartphones in a tremendous way. Even most educational content, including even online courses, are going to be optimized completely for mobile devices. Learning platforms, software and digital devices are together creating numerous ways to modify education. This way, the academic potential, strengths, weaknesses, aptitude and learning pace of every single student is furnished in a better way. Mobile phones and many reliable applications are being invented and particularly created to teach students, help them practice their learnings, take assignments, complete them and also manage their schedules. Schools are now providing their students with digital devices like desktop computers, laptops and tablets. These devices are facilitating the learners in the teaching process while also helping them understand how to enhance their learning process. This is definitely going to be the new trend informal learning that will enable students to be technologically skilled and equipped for modern workplaces. Open digital education resources are commonly used in distance learning courses. They consist of freely accessible media for learning, teaching and research purposes. They are licensed to be revised and propagated freely by teachers among the students. This allows the students to gain access to an extensive study material that is otherwise restricted in a particular place. These resources also facilitate the creation of a flexible environment where teachers can customize educational content for individual sessions or classroom settings. This is applicable for typical curricular subjects like mathematics, sciences and languages, as well as business and fine arts. Virtual Reality and Augmented Reality are already popular in the technological area. Their appearance in e-learning has massively impacted the efficiency with which it is offered to students and the way it assesses their performance. In the traditional classroom seating scenario, students are unable to get the individual attention they need. As we know that different student has a different level of capturing things. In contrast, the one-to-one context of learning in digital mediums currently students to learn through videos and chat with an expert. This allows each and every student to keenly learn about the study material. 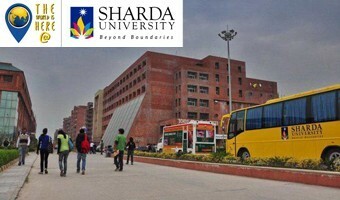 The upcoming 'Learning Management System' will continue the two-way communication model between students and experts. More importantly, it will let students track their coursework progress, identify improvement areas and offer ways to make the most of them. Through the help of 'Big Data', experts will be able to capture student feedback within the framework of the content provided. With this alone, they'll be able to improvise and enhance their offerings in new ways to further benefit students. Hence technological trends are really pushing forward the digital education in India which is absolutely strengthening the education level of India and the developing the nation to stand in the worldwide competition. Nowadays online educational practices have led us to learn about anything and everything we want to know or learn. We can sit in a corner of our room and gain knowledge about any corner of the world through the help of Digital Learning.